Recording using Linux is not professional! Some time ago I was discussing recording software with an online friend of mine. He stated that “none of the professional studios uses Linux”. Or similar words. Is that so? Is recording using Linux not professional? I happen to have a ‘recording career’ at my home studio using Windows software. I’ve used many programs over the years like LogicStudio (back when it was Windows-based, using Windows2000), QuartzStudio, EnergyXT, Audacity, Magix Music Maker and Mixcraft. They are all Windows-based. I recorded using Windows2000, WindowsXP, Windows7 and Windows 8.1. Apart from recording with the above software there’s also a long, very long, list of programs I’ve tried and tested. So far Mixcraft has been the most productive Windows-environment for me. I’ve also used Garageband on a macbook (not mine). That’s a rather nice recording environment also but too expensive for me (a macbook that is). Apart from the fact I’m not that experienced with Apple. Finally – I have over 30 years of experience as an IT-professional. I worked with many platforms like MsDOS, OS2/Warp, AS400, Windows (3.11, NT, Win2000 up to Windows10), AIX, FreeBSD (UNIX), RS600, Linux (debian. centos, ubuntu). So, yes. I know some about computers and operating systems. I’ve also worked with other studios in the past. All three of them used ProTools. Period. As I was discussing this with one of the studio owners and asked why he wasn’t using Windows (he had a Windows computer for other tasks) for recording he said to me: “I would need to buy new hardware again. I’m not going to do that”. So, .. quality of the Windows, or Linux, platform does not seem to be the reason. It’s the investment they will need to do when switching to another platform for recording. About a year ago I decided to stop recording in my living room (I had been doing this for years) and create a studio in one of the empty bedrooms. For this I decided I wanted to have a dedicated computer. Since I have a lot of experience with Linux (I have a webhosting company) I decided to give Linux a try. There was no big investment needed except for a new computer. I started with an audio distro with Ubuntu including Ardour. Ubuntu was giving me issues though, since it was having troubles with my brand new computer. It didn’t support the BIOS too well so it seems. It crashed every 15 minutes. So did Windows10, btw. On the internet I found a different distribution, KXStudio. It’s also Ubuntu (debian) based and has everything more-or-less pre-installed. You can download it here. Especially this story got me interested in “giving it a try”. 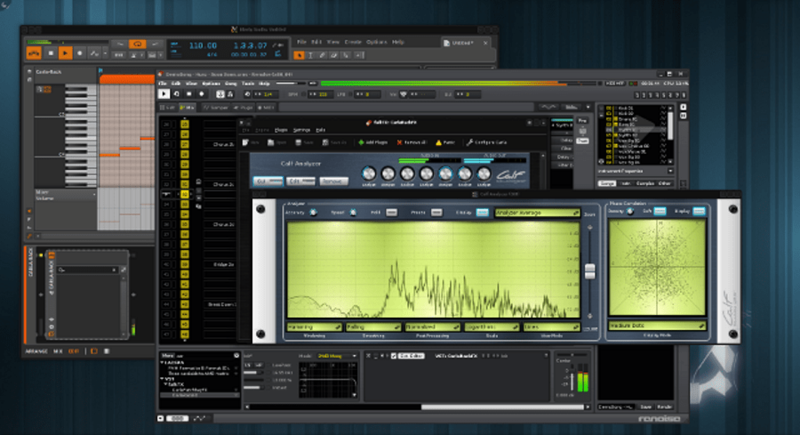 The Ardour digital audio workstation is a beautiful creation. You can group tracks arbitrarily (great for streamlining editing), it supports unlimited tracks (until your computer keels over), it has a soundcard picker if you have more than one, processes at 32-bits internally, supports very flexible signal routing, support networked audio, and a way lot more (Linux.com). So far I’ve recorded lot’s of songs using it, including the 2nd album of Mirjam Tamara. The song below is one of the tracks recorded at the studio. Mixing and mastering done with Ardour. So it worked out pretty well for me. Question still stands. Is recording with Linux professional or not? Well, listen to the above and you’ll be the judge. Or some of the other tracks recorded with Ardour – for example this track. I’m not a die-hard Linux fan and I’m not biased. If the new setup didn’t work out for me back than, I would have installed Windows with Mixcraft. Since I know that works fine too. For me, it doesn’t matter what operating system I use, as long as it works well, stable and gets the job done. I still use Mixcraft a lot for mixing sometimes and recording a quick demo. It’s a great program and it’s not too expensive. So if you’re on a low budget, allready have a windows-based system and need a program to record go get it. The official website can be found here: https://www.acoustica.com/mixcraft/. Some deny this, but let’s face it. Over 80% of all the webservers on this earh run Linux. Android is Linux-based. Even Microsoft and Amazon use Linux. If Linux would be unstable, they’d never use it. Period. Need more plugins? “Google is your friend”, .. IT comes with a free, online, manual. After the installation I managed to get it working within about 15 minutes. I did my first recordings the same day. Didn’t need to look at the (online) documentation. Especially, of course, since I’ve got previous recording experience. If recording is new to you, it will be hard to start on Linux. It will also be hard to start on Windows. Or Apple’s platform. You’ll need to learn a lot. No matter what platform you use. When you’re used to recording with Windows and have a Windows-based DAW you probably have some VST’s you like. They say they won’t work on Linux. At least, not without a lot of hassle. Well, .. is that true? Steinberg has been changing the recording world in the past. And it’s doing so again. Steinberg brings VST to Linux. And, according to the manual (yes, Read The Fantastic Manual aka RTFM) Ardour does support VST 2.x. Windows VST’s are (of course) NOT supported. Some claim Linux is difficult to use. Well, if you’re a long time Apple user it isn’t. If you’re a staunch Windows user you might need to learn some new stuff but you’ll learn after some time. Okay – so I said you shold be the judge based on the audio provided and based on the pro’s and con’s. Most important question to ask: what is your goal and budget? 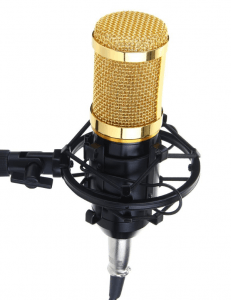 If you’re aiming to record demo’s or your bands first album, you could of course invest thousands of dollars or euro’s in a professional recording setup. Or go to a professional studio and record a few weeks over there. You’ll be burning a lot of money. If money ain’t no issue for you, don’t even consider starting home recording. Go into an expensive studio, don’t look at what they use for recording and be creative. We’re talking home recording here. If you compare the free Linux distro’s to the free Windows solutions, linux distro’s will beat them (see quote above). Hands down. Superb audio. Easy to use. You’ve got all the tools you need. It can use old hardware. Professional studio’s use ProTools most of the time (see before) but there are also studio’s using Windows-based solutions or .. Linux based solutions. The aim is to get the best audio possible recorded to a computer. You can do that on any platform these days. So yes. It’s professional. The fact it’s got no paid-for license model doesn’t mean it’s not professional. Not at all.